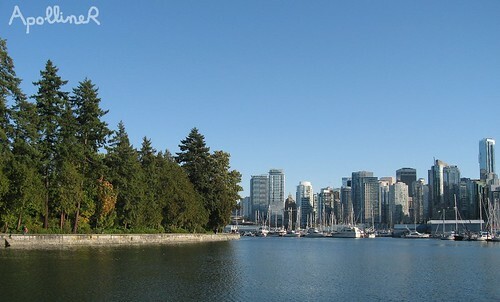 Stanley Park and Downtown. I like the contrast between the trees and the skyscrapers. 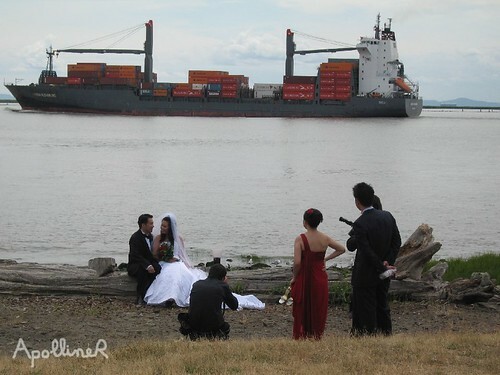 These newlyweds have their photograph taken on the beach of Steveston’s small harbour… between two container ships. 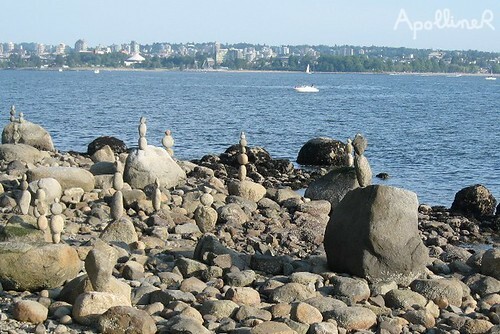 Stacked pebbles by the Seawall which is the path that goes along the sea around Stanley Park. 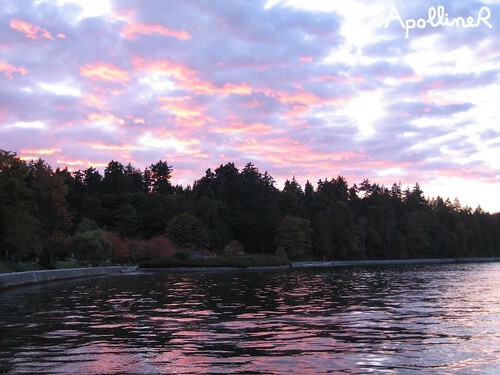 Dr Sun Yat-Sen Park. 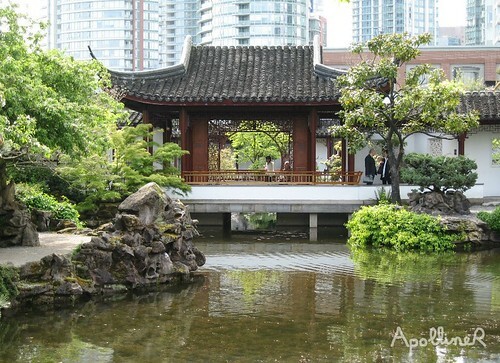 A picturesque Chinese garden in the middle of Chinatown. 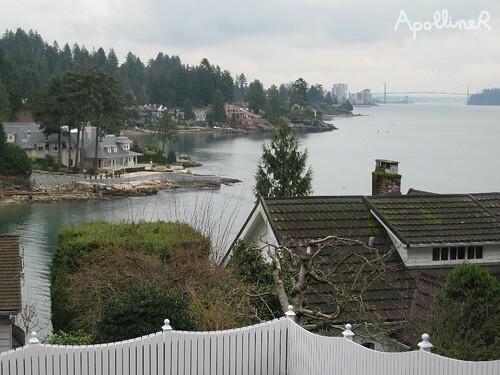 West Vancouver and its waterfront houses. Reading another time this article, I realise that almost all the pictures I have selected show the sea. 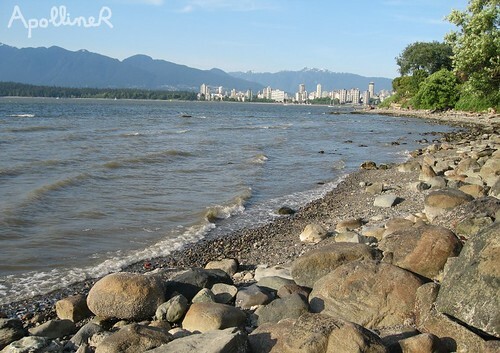 It’s not surprising because I think seasides are the most pleasant places in Vancouver. Looks like a lovely city! 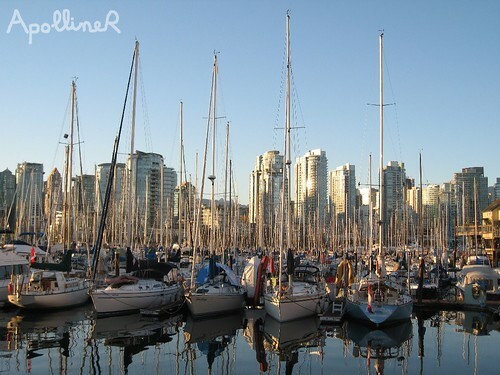 I like the skyline shots with the sea and the boats with the reflection in the harbour.